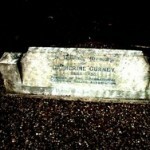 Catherine Gurney’s original headstone, now relocated to her Rose Garden at St Andrew’s, Police Treatment Centre. Harrogate. 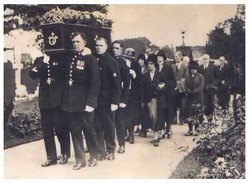 Police Pall Bearers, representing the County,City & Borough Forces, at Miss Gurney’s funeral, 1930. Categories: Appreciation Celebrations Tags: Veterans' Day When is Veterans Day? Categories: Birthdays Tags: Christmas What is Christmas?